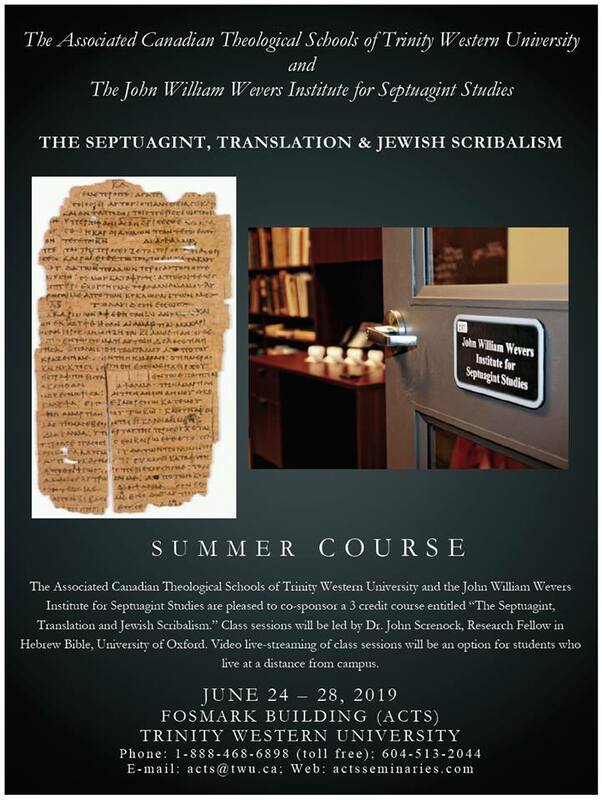 The 2019 Septuagint Summer Course, organized by Trinity Western and the John William Wevers Institute for Septuagint Studies, has been announced! From June 24-28, 2019, Dr John Screnock (University of Oxford) will be teaching on “The Septuagint, Translation and Jewish Scribalism.” Fortunately for those abroad, video live-streaming will be made available! For more info and registration, see attached!